$10,000 PRICE REDUCTION!!! 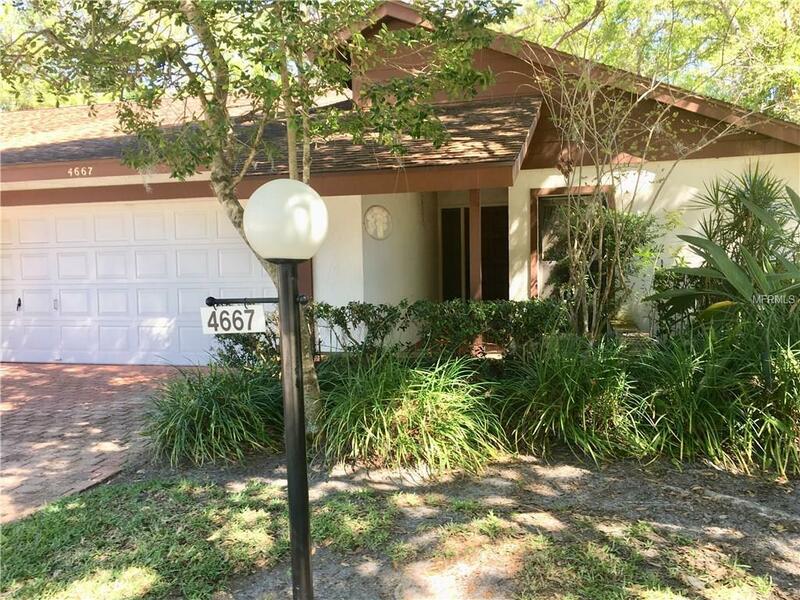 2 BR/2BA condo/villa featuring a 2-car garage, vaulted ceilings, skylights, inside utility, split bedrooms and a screened lanai just waiting for you to make it your own. This maintenance free community allows you time to relax by the heated pool, get some exercise on the tennis court or hang out with a good book or friends for a get-together in the clubhouse. PET FRIENDLY community. 2 small PETS are WELCOME! Live here year round or enjoy as a winter retreat. Oak Forest is a hidden gem in one of Sarasota's best locations. Close to Siesta Key and situated on 20+ acres tucked away in an enclave of beautiful majestic oaks and pines! Close to beach, world-class shopping, great restaurants and healthcare.